We are a leading Manufacturer of horizontal boring machine from Chennai, India. Enriched with the rich industrial knowledge, we are engaged in offering Horizontal Boring Machine. 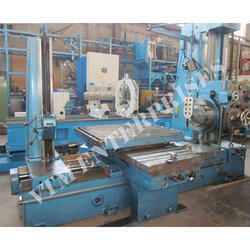 These offered Horizontal Boring Machines have a wide application in the industry. A majority of the parts are imported from renowned names. The easy maintenance of these milling machines is extensively admired. The offered machines are well known for their optimum performance. Moreover, this Boring machine has very long functional life.